Accra facility will be the first on the continent, and help fund a range of research opportunities across Africa. 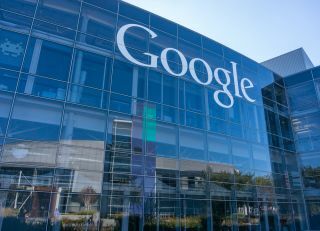 Google is set to open its first AI centre in Africa as it looks to further widen its research capabilities across the world. The new centre, located in the Ghanian capital Accra, will be Google's first dedicated facility on the continent, is set to open later this year, working closely with universities, local governments and other research centres to explore use cases for AI in Africa. Google hopes to help 10 million Africans benefit from its digital skills training program, and says two million have already completed the course. The company is also supporting 100,000 developers and over 60 tech startups through its Launchpad Accelerator Africa initiative. "We've seen people across Africa do amazing things with the internet and technology — for themselves, their communities and the world," Google AI Senior Fellow Jeff Dean and Moustapha Cisse, staff research scientist and lead of Google AI Centre Accra, wrote in a blog post announcing the news. "Over the past 10 years in which Google has had offices in Africa, we've been excited to be a part of that transformation." "AI has great potential to positively impact the world, and more so if the world is well represented in the development of new AI technologies. So it makes sense to us that the world should be well represented in the development of AI."